So you want a mobile solution for your museum containing easy to understand content that will engage more visitors, right? Ultimately it’s the audience who are going to use it so it is super obvious to create the content by keeping them in mind. An experience that your audience can connect with it, for that it is important to know who the target audience is. This could be easily done by asking few simple questions to yourself. How about non-native English speakers? How about a multilingual app? Can we provide artifact related content accessibility to the audience? Will the app have social media integration? We know and believe that the content in the mobile app is going to be your visitor’s digital companion in and outside the museum. The app developed by our experts consists of high-quality images, audio, and video which are intended to complement the visitor experience which keeps their attention on it rather than making them distracted. Creating such content that increases visitor engagement and allows them to dig a little deeper into any information related to the artifact. Creating content that binds the visitor’s emotional chord so that they can relate to it. 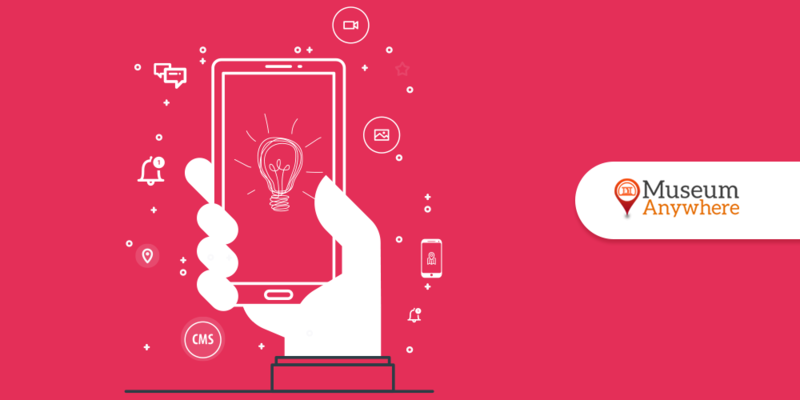 Avoiding lengthy or dense content that turns them off from your mobile app. These days, the use of Social Media has grown especially Facebook and Twitter, so why not integrate them into the app? So far we have developed a number of customized app for museums that helped the users share their favorite piece of information on Social Media which proved to be a great means of marketing tactic for the museums to drive more users and ultimately help in creating of brand awareness and brand promotion. Our team has developed customized museum app which means, an app with features as suggested by our clients, but if are looking for features more than this then talk to us. Write to us at sales@MuseumAnywhere.com or call 703.652.6630. We would love to assist you. Previous Previous post: The Digital Transformation of Museums- How museums are going online!